Coming into Barcelona by the high speed AVE train, we disembark at Barcelona Sants and proceed to our hotel. 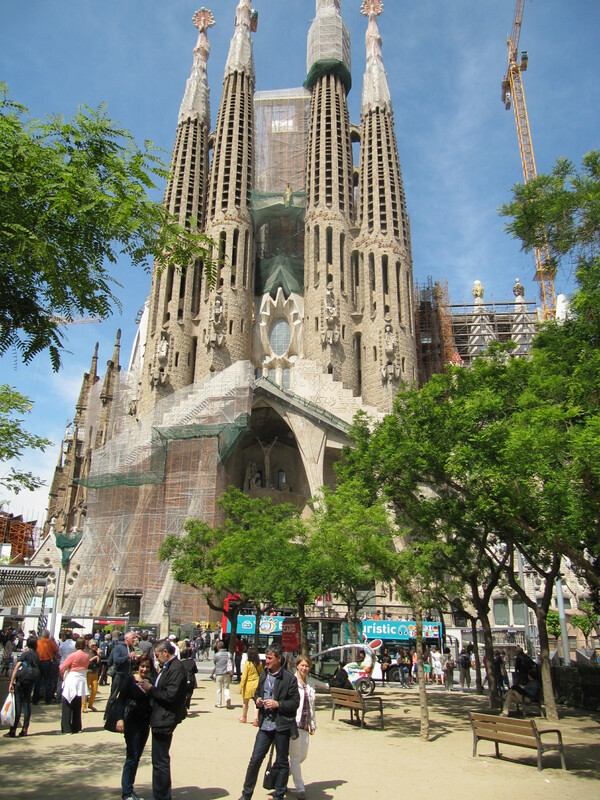 Check-in over, I enquire about how to go to Sagrada Familia and am delighted to learn that it is a mere ten minutes away by walk. My pre-visit reading up on the Sagrada Familia basilica does not stop me from gasping in wonderment as I first set my eyes on the structure from across the park in front. At once imposing due to an unorthodox modernistic architecture and at the same time incongruous due to the plethora of construction platforms and jib cranes. This Antoni Gaudi creation has been a work in process for one hundred and thirty years now, having survived the World Wars and the much more vicious Spanish Civil War. Termed as the most ambitious cathedral in human history and the work completion still uncertain, the gargantuan structure continues to attract generations of architects and sculptors from across the world. Stepping inside the interiors of the main tower, I am astounded by the myriad forked columns going up to create a network which resembles a forest cover. Is this how the creator visualised this I wonder? 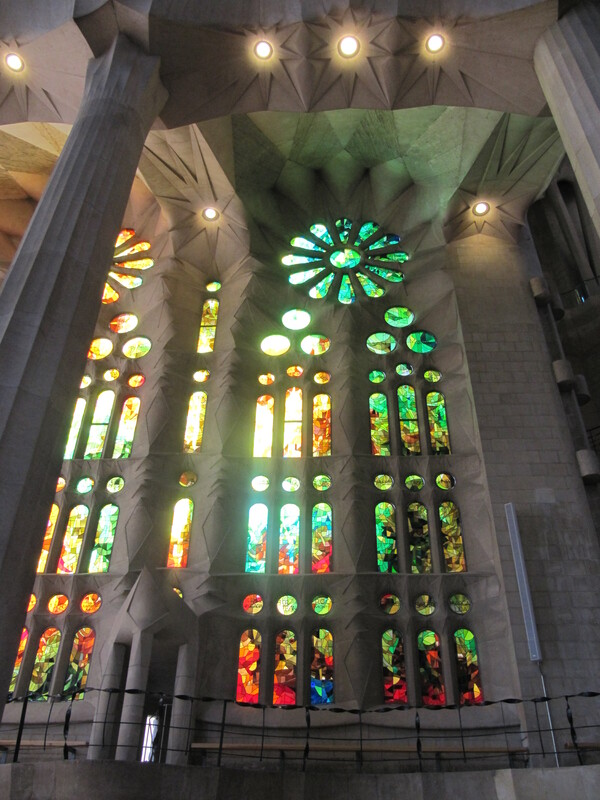 So what was the final image that Gaudi held when he passed away close to a century back leaving behind a fraction of what he had set out to make? Near the rear façade, I overhear a guide telling a bunch of tourists that the reason why Antonio Gaudi had not been able to make progress with the construction over more than four decades of his personal involvement was because he was always improvising and making design changes even when the construction was on. And some of the complex architecture he envisioned required technologies and processes not then conceived. I stroll away musing. 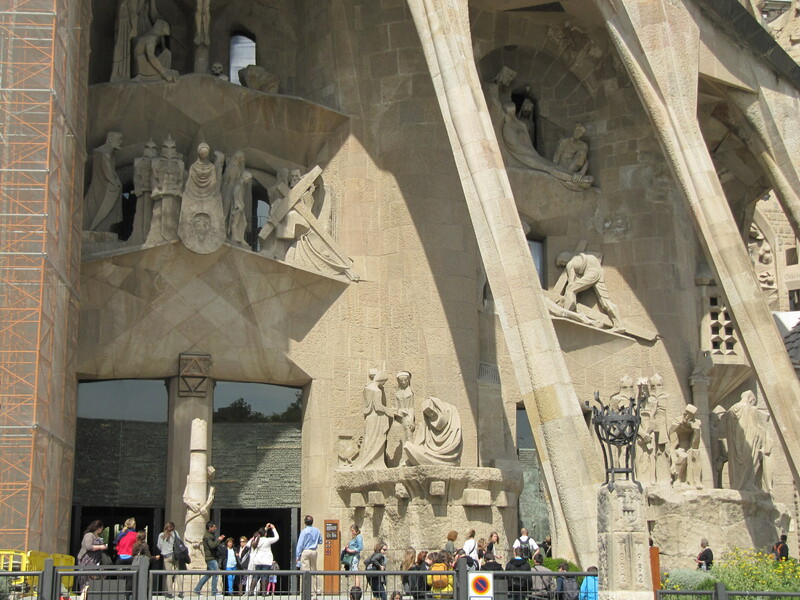 What was it that had motivated Gaudi to keep on improvising and changing thus to hamper the progress of what he wanted to create? 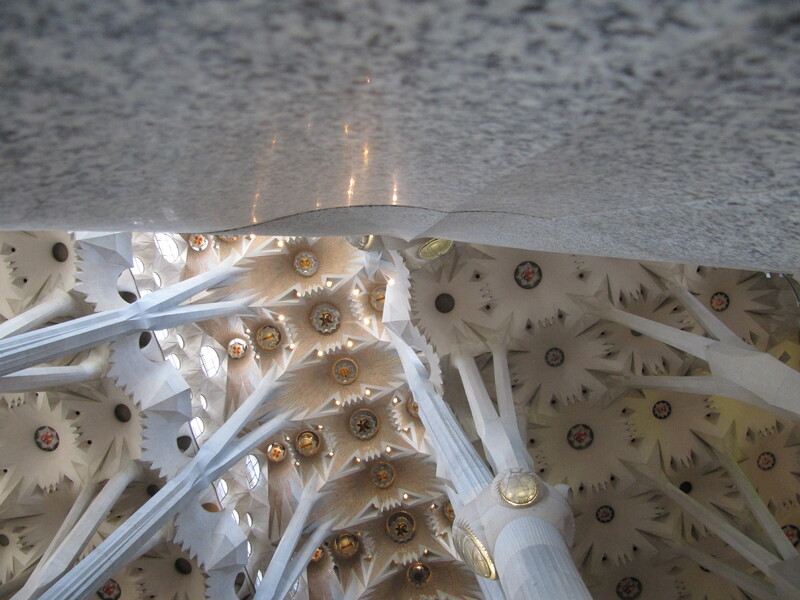 Strange as it may seem, could it be that Gaudi was not oriented toward a time specific goal? Could he have been following a path that only focussed on ‘how he was being in that moment’? Could he have set his intentions to align away from the actual work completion and more with his inner values? Contrary to what we generally believe, our intentions can be significantly different from our goals. The whole concept of goal achievement can be seen as a cause and effect relationship. Something like an Action- Reaction with the goal being the final effect; the reason why goal achievements need action plans. With the increasing hype and obsession with goals, we see our actions as the cause that lead us to the goal. But brickwalling our thinking thus prevents us from probing deeper for the real cause and we are frequently frustrated to see set Goals not being achieved. A misalignment of externally motivated goals and our true inner intentions. 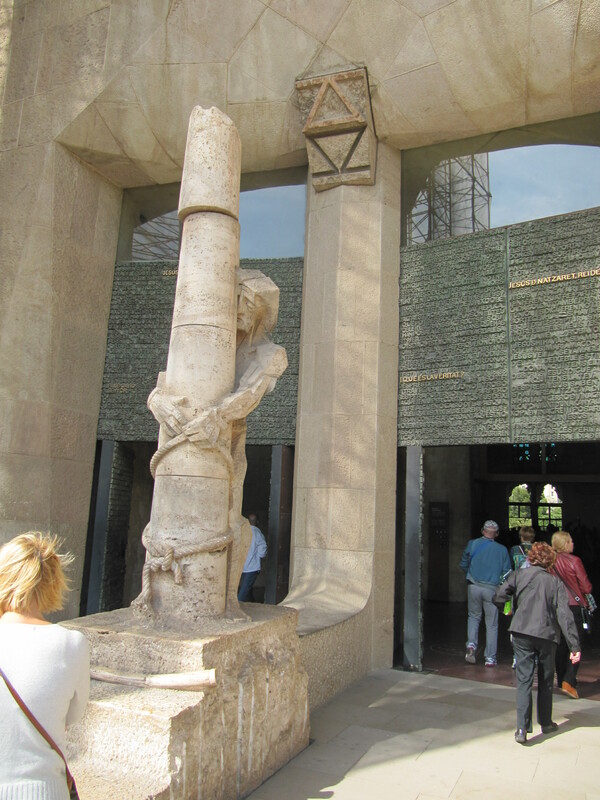 A century ago, was Gaudi too a victim of such misalignment, I wonder? So how do we align our goals with our true intentions? How could we simply plant an intention and watch it grow into a desired goal? Dr. Wayne Dyer, the renowned speaker in the field of self-improvement, says, “You have to just be. You have to let go. You have to allow. You have to be free and make this your consciousness.” He continues, “Basically, what you would see is a frequency (of energy) that manifests itself through the process of giving, of allowing, of offering and of serving. It asks nothing back. This is the power of intention.” According to Dr. Dyer, the process of allowing, just being and embracing this heightened level of consciousness, goes back not to attracting what you want, but attracting what you are. Walking away, I look back one last time at Gaudi’s magnum opus in the fading evening light. 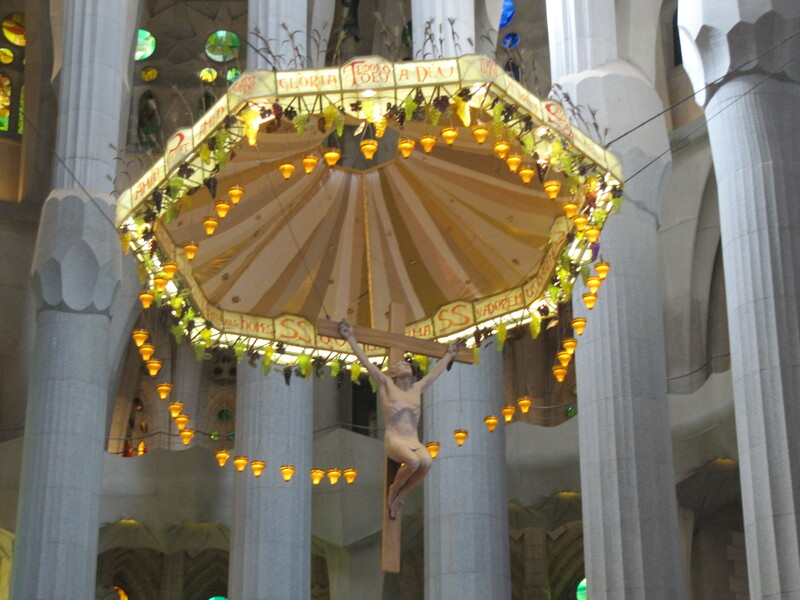 I sense the power of intention which allowed Gaudi and the scores of architects and sculptors after him for more than a century, to only “give, allow, serve” asking nothing in return as they continued their journey of “being”. by Dr. Wayne W. Dyer, 2010. A Hay House Inc. publication.